Hey Big Oil, don’t screw this one up. 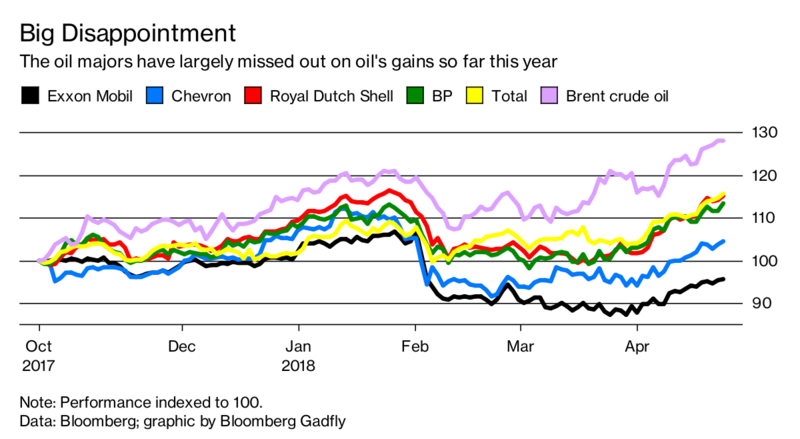 Investors, often derided for their short memories, have developed an elephantine grudge for oil companies (see this piece by my Bloomberg News colleagues). And who can blame them? The majors talk a good game about discipline and multi-decade horizons and all that. But when push came to shove, during the extended oil rally for most of the decade after 2004, they spent like crazy and trashed their returns. Yet that’s precisely why this earnings season is theirs to lose. You’ll notice, however, that bottom line is barely in positive territory, and a fraction of what it was at triple-digit oil. That’s why this Big Oil earnings week is less about the (anticipated) numbers and more about the message. The hard-won freedom of positive free cash flow should be regarded as something to be preserved rather than exploited – the opposite of what happened the last time oil prices enjoyed an upswing. 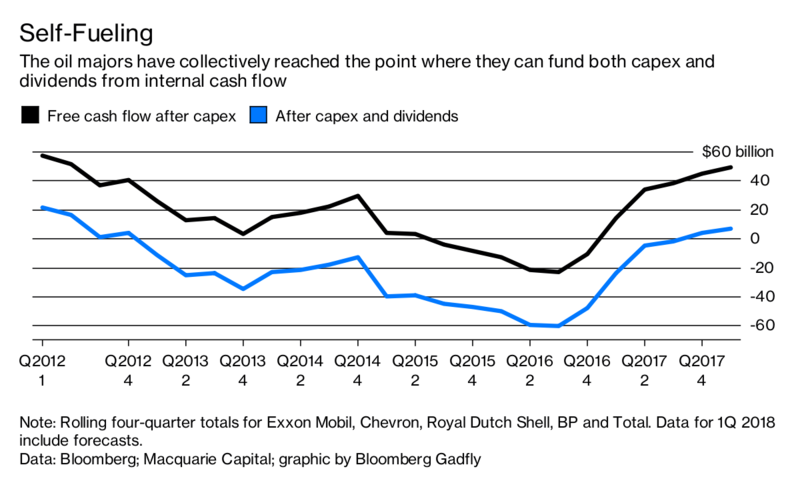 One of the things that has weighed especially on Exxon Mobil in the past six months is its plan to raise spending, despite the damage done by earlier big bets to both returns and the stock’s traditional premium to peers. 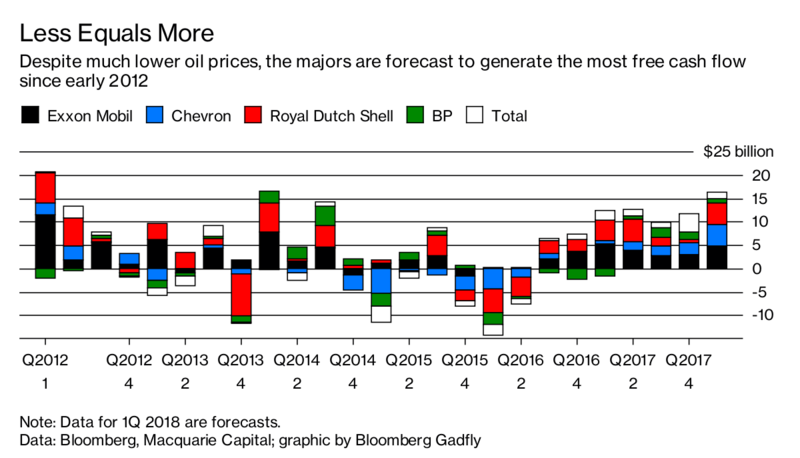 The more compelling message for investors these days is that the majors can enjoy the benefits of higher oil prices without letting it go to their heads – like savoring an unexp-ected flute of bubbly rather than downing the bottle in anticipation of a bottomless bar. Something along the lines of Shell’s “lower forever” mantra. That’s tough to adhere to at the best of times and especially with discipline of a different kind breaking down elsewhere (read: Saudi Arabia’s $100-a-barrel dream). Still, while it may be too soon to hope for the buybacks of yesteryear to return, investors would welcome earnings calls more focused on talking down budgets than talking up oil prices.